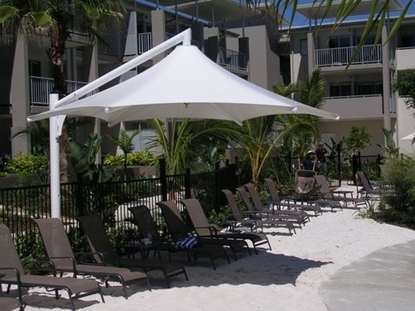 Skyspan Umbrellas give large permanent shade options for pool decks, water parks, and recreation areas where relaxation in the shade is needed. 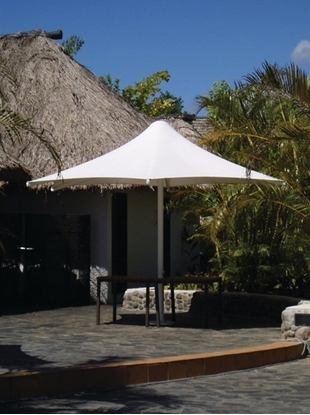 These large umbrella structures install permanently for secure and dependable umbrella comfort. 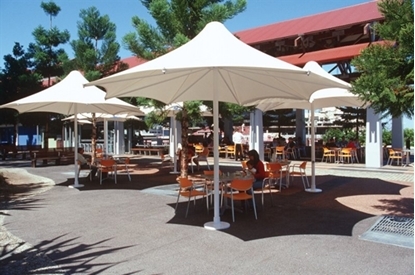 Skyspan umbrellas are made with a powder coated aluminum frame with a heavy duty canopy made from PVC coated polyester fabric that is waterproof and UV proof.